Fab Finds, Upcoming Cincy Chic Event at A Village Gift Shop! I’ve been visiting A Village Gift Shop in Glendale a lot lately to plan our upcoming “Jewelry Makes me Happy Hour” event going on this Thursday, and I just have to tell you about some of the FAB finds I came across! Snoozies, which are a cross between a warm sock and cozy slipper! They come in all different colors, fabrics (even sequins!) and sizes (even ones for babies!). They’re suuuuper cute, and perfect for these cold, polar vortex days! Talk about something perfect for a cold winter’s day… think of baked brie oozing over fruits, meats and breads. YUM! A Village Gift Shop has some great Gourmet du Village dips and brie bakers that the owner Diane says are some of their top sellers at the store! Alex and Ani bracelets – this designer creates bangle bracelets, necklaces, earrings and rings that adorn the body, enlighten the mind, and empower the spirit. A Village Gift Shop recently started carrying these and Diane says they’re flying off the shelves! 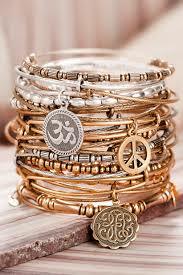 I love the stackable bracelets! You can check out all these fab finds and more at the Jan. 30 “Jewelry Makes me Happy” event coming up at the Village Gift Shop at the Century House in Glendale. It all supports a good cause, too. Click here to register and learn more! I hope you enjoyed all that spring-like weather this weekend! It was soooo nice to feel that sun shining on my face for the first time in what feels like for-ev-er. It got me in the mood to clean up my landscaping, prune everything back, mulch and I even got some fresh flowers to put around the house. That was one of the things I mentioned in this blog last month with my friend (and local interior design expert) Diane Agricola’s tips on how to welcome spring into your home’s decor. But seriously, if you’re considering being an interior designer, Diane actually does offer courses to certify you and teach you everything you need to know about the trade! Below are all the details about the courses that I copy/pasted from their website, in case you’re interested in attending. More info here. The Agricola Redesign Training Specialists (ARTS) programs are designed to promote and enhance the interior redesign and home staging industry through quality training for our students. We currently offer a 3-Day Training Course, a 5-Day Training Course and a Color Confidence Class, held in our 1600 sq ft redesign firm in Glendale and taught by ARTS programs certified instructor and mentor, Diane Agricola. 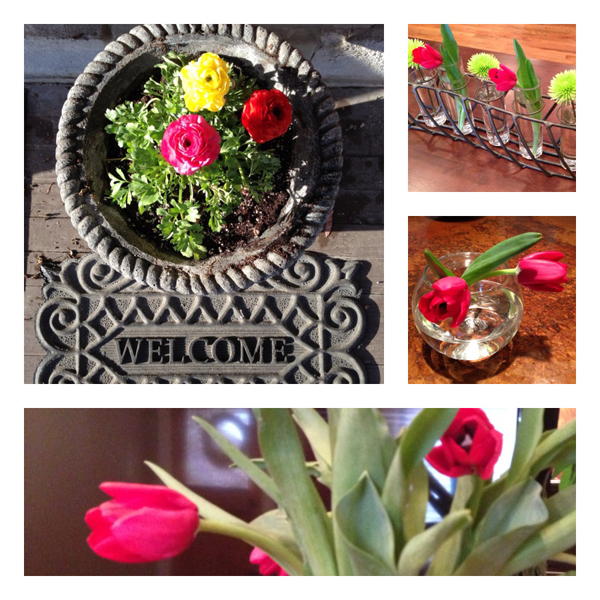 Spring has officially sprung at Chez Scalia!! Spring into New Home Decor Ideas! Super cute paper table runner and placemats at A Village Gift Shop! Cincy Chic just had an event at A Village Gift Shop in Glendale, which is also home to Agricola Redesign. At the event, the owner, Diane Agricola, gave me some great tips and tricks, too. She said spring colors is always her go-to way to add spring to her step at home (she actually just wrote this article about how to incorporate the Pantone color of the year, emerald green). Her shop also has some unique table runners, which are great for switching up the look of a room without a lot of fuss. I especially loved the cutting boards and bottle toppers that are slate that you can write on with chalk — how great would that be at a dinner party? 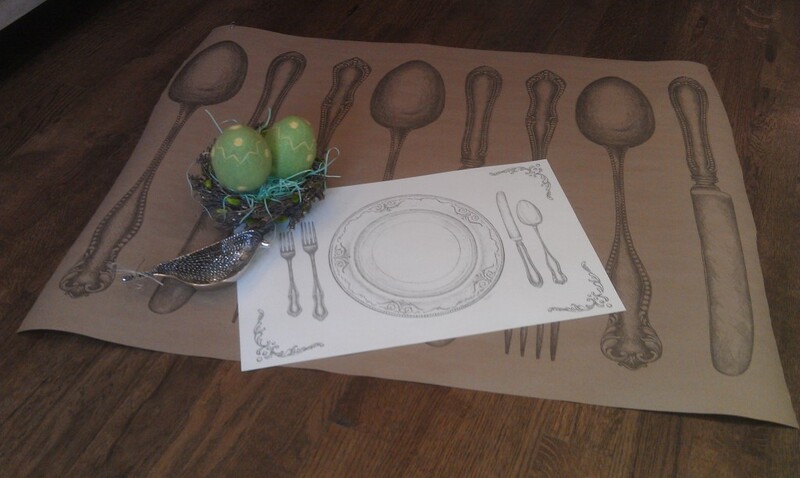 Also great for a party are the paper runner and place mats that they had at our recent event (pictured above!) that gives you the look of a runner and place mats, without the worry of washing them! And of course, April showers bring May flowers, so floral arrangements are a natural (literally) way to bring spring into your home! That can be through actual flowers or all the fun floral prints coming out on fabrics and accessories now. I pinned a ton of great floral arrangement and door wreath ideas here.